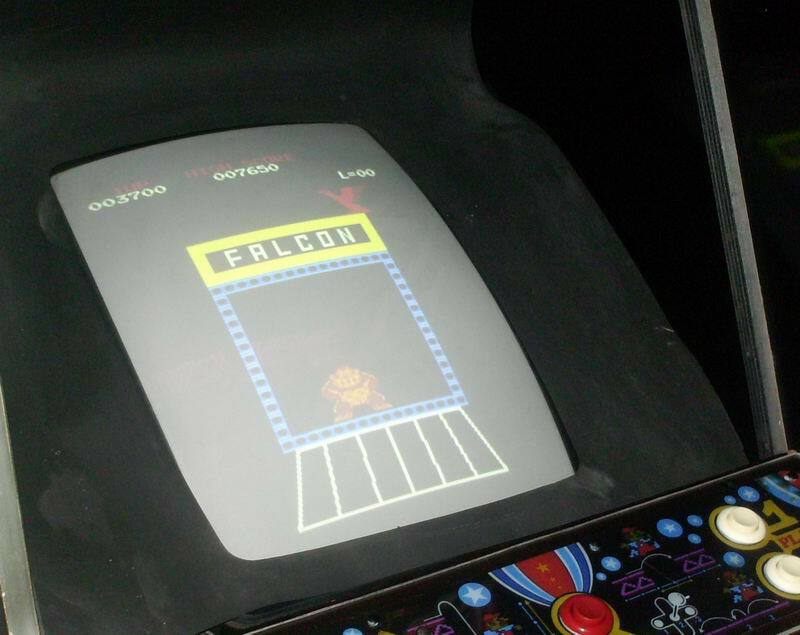 I was a little worried that it was a boot since i did not see any logo on the PCB from Falcon. I dont think its a boot, since Orca does not show that.. It looks like i got myself finaly a working board! Huray!!! In the add from ebay it showed missing green in the image.. In my machine its running totally fine, so i guess it was his monitor, or wires that had a problem. There is only one more technical thing, there is a little shake in the screen, could a capkit solve that ? its not really shaking, more like a little "whobbling" if you know what i mean..
Also: why do you expect that a bootlegger would take the pain and extra work to get the Falcon message out ? If there's no Falkon logo on the PCB, it's a boot. I will check my Orca tomorrow! 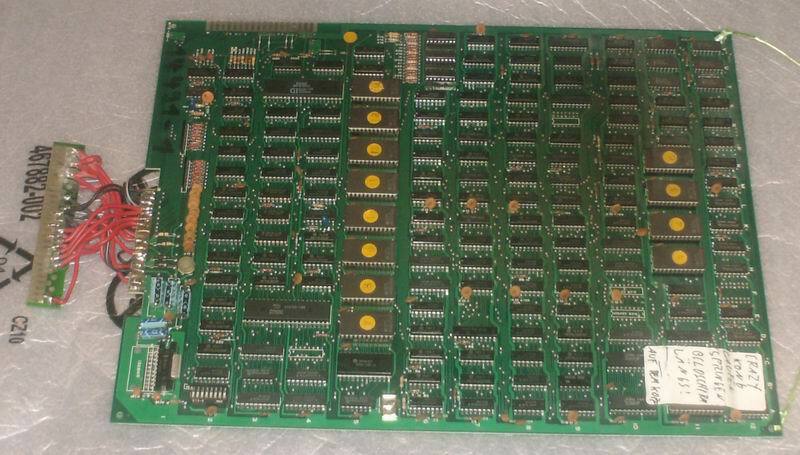 Btw I also have a bootleg of bootleg's Ck pcb, it's a double one with a 3rd type of pinout! And this one will be a nice spare..
Do you want yours back after robin fixed it andre ? is it like muerto's CK 2-board set ? 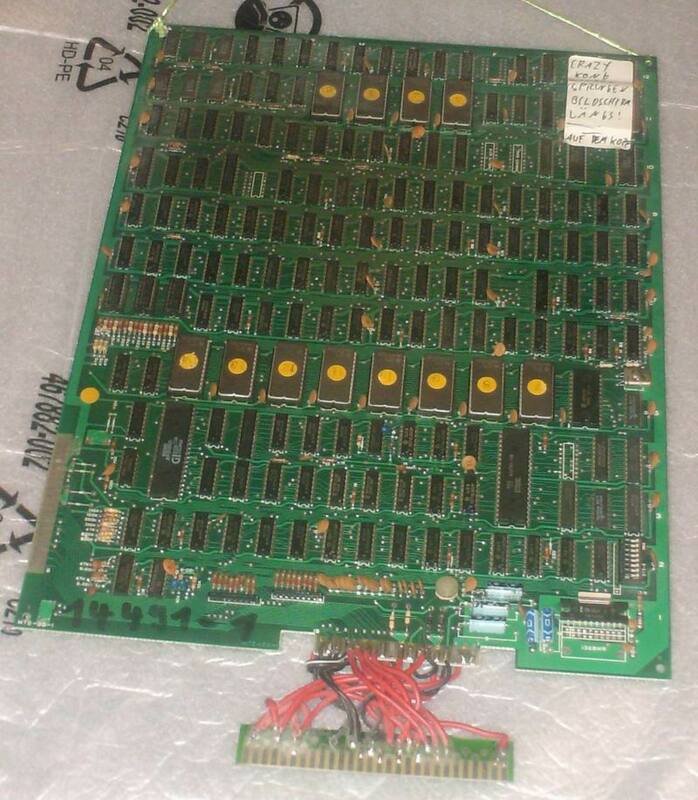 Unfortunately the 3rd type of pcb I have is not at home, but I'm sure there wasn't any logo on it. I will post some pics later from it! Its always a good idea to use proper packaging IMHO. I've got 2 boards like that one. 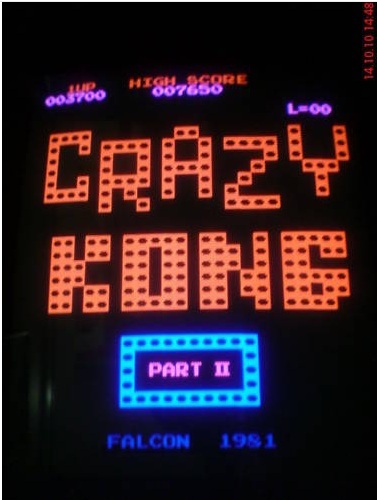 One is called Donkey King, but other than a title difference, it looks like the other non-Falcon CK's (with just the title and 1981 on the title screen). 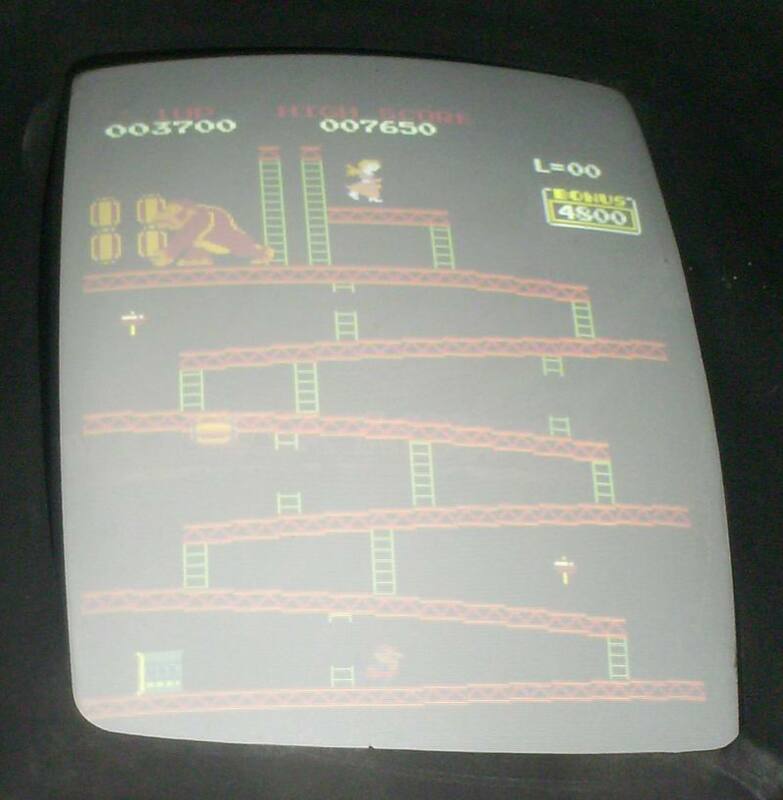 The other is Crazy Kong, but has slightly different colors (I think it might have a CK Part 2 color PROM installed, as one PROM is different than the other 2). It also came with an external audio amp/pot, since it has no amp on the board (the area in the top left of the photo where the caps and sound pot are in your photo are empty). 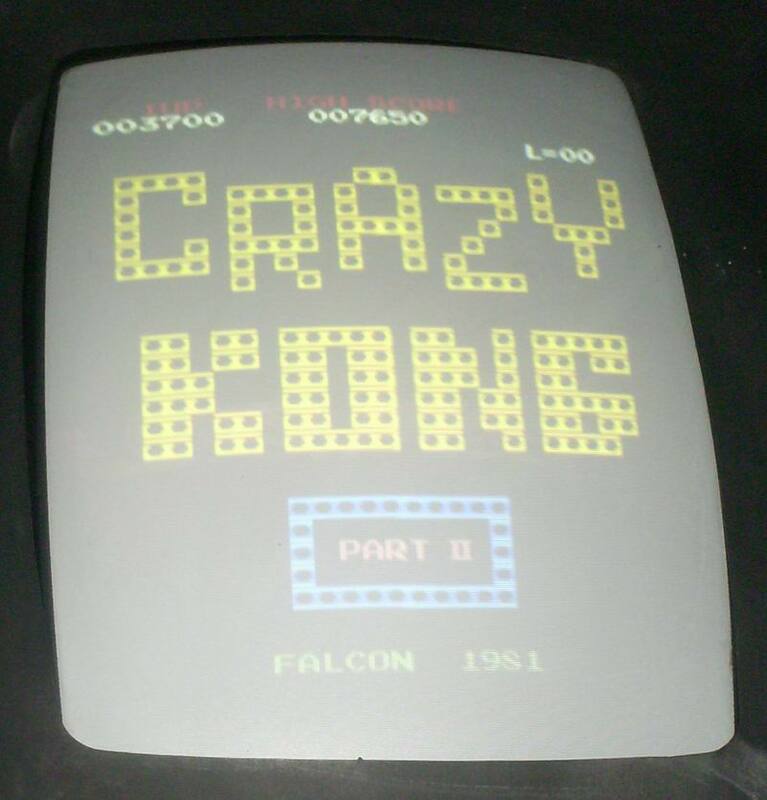 It also has one Falcon logo on the 2nd board (and KCK-01 I think) but not on the top board. It also uses the regular Falcon pinout just like the Falcon boards. I've got one of these boards too, they have a completely different pinout (with a 22/44 connector instead of 18/36). 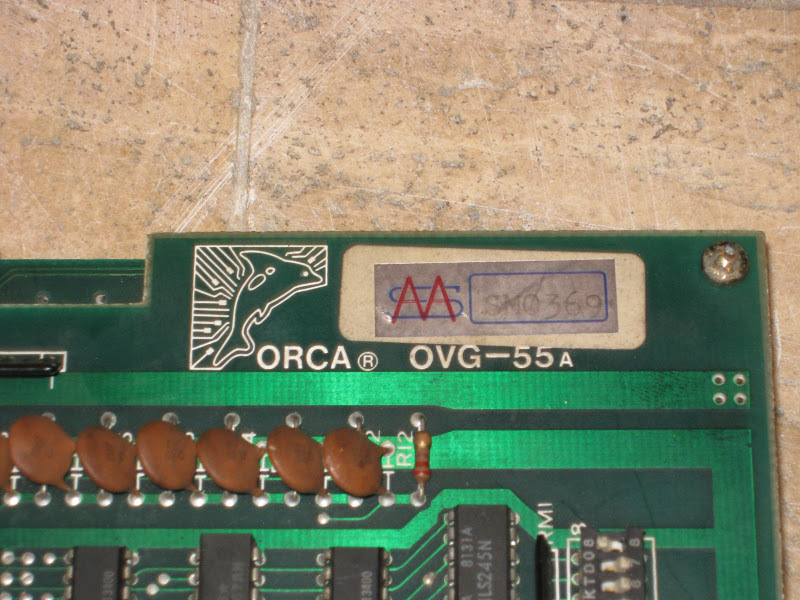 Mine has the SMAA serial number on it too, and also the garbage above the high score when it's running in demo mode. I figured it was a glitch on my board, but maybe all the Orca boards have that? It does have one difference though. 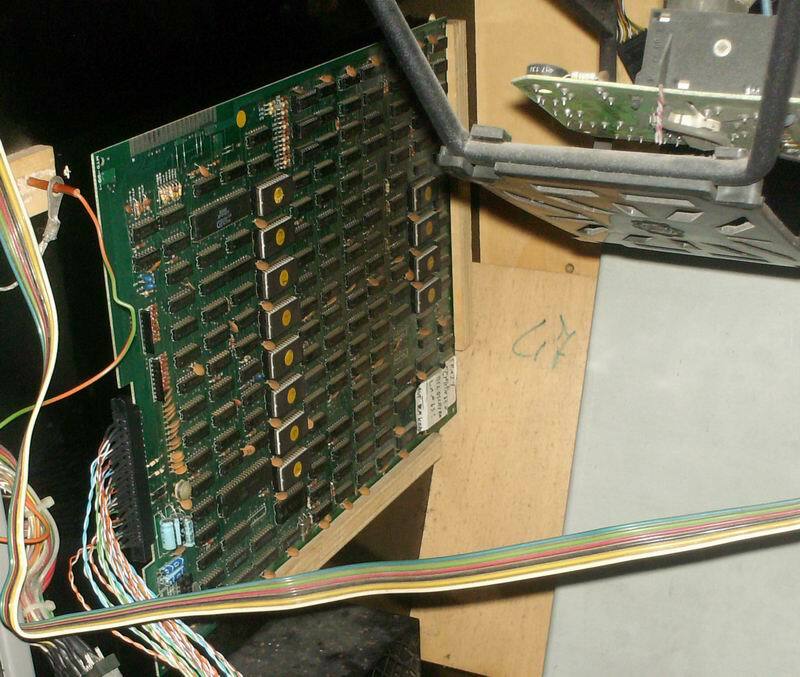 For some reason, mine has a little satellite board mounted in the Z80 socket, with the Z80 and some other chips on it. 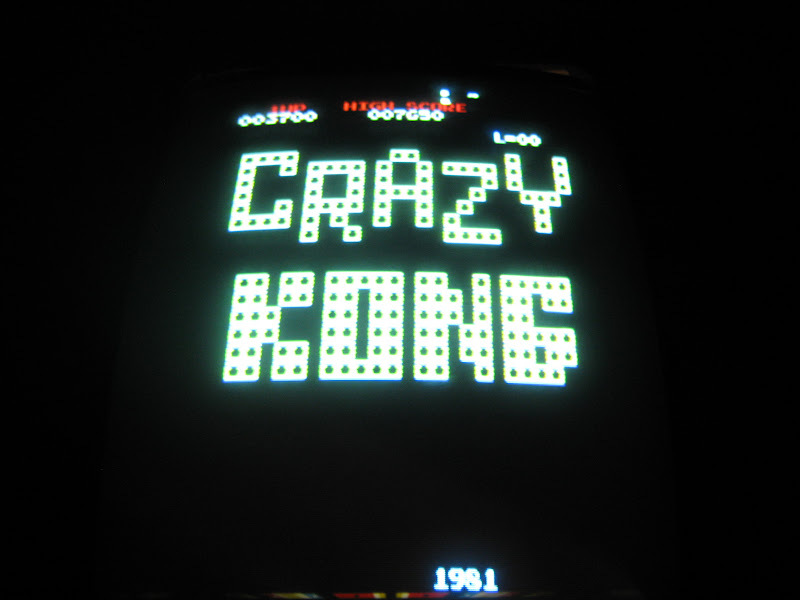 One interesting thing I noticed on it, when you clear a level, Kong immediately runs up the ladder with the lady, just like in Donkey Kong. On all the other boards I have, he waits for the music to finish before going up the ladder. 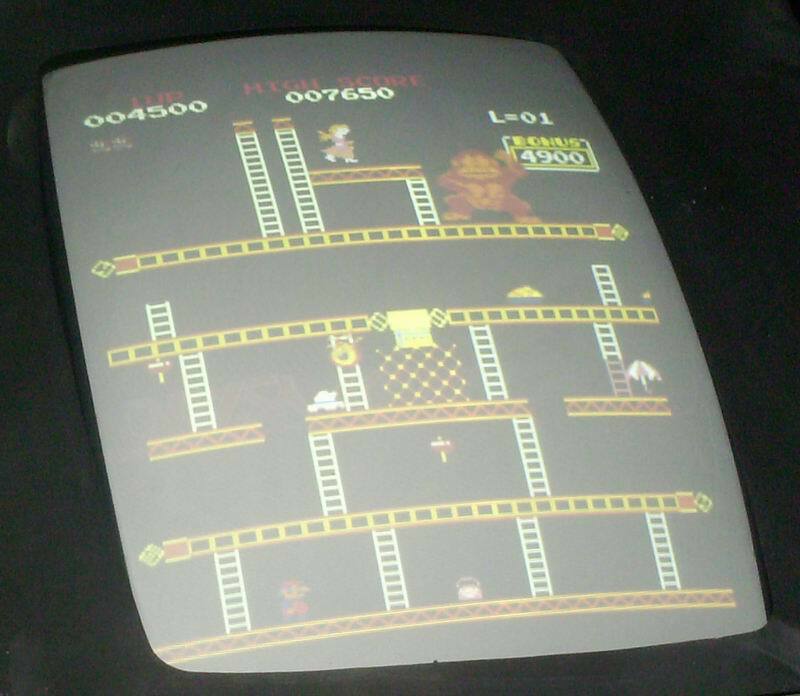 In MAME, he also goes immediately up the ladder instead of waiting, just like on the Orca board. SuperUlly was so kind to "transport" this to holland, Big thanx for that Ully ! I tried to find a logo from falcon, and did not find that.. also i see that the "second" connector is unusable because there are no spaces cutted in the board to fit a connector, and also the diodes are missing in that part.. 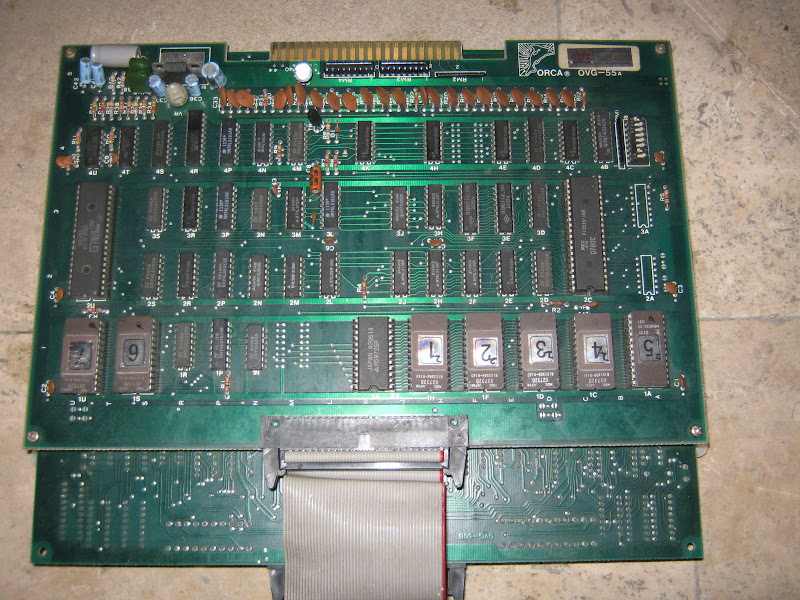 I've got 2 boards running CK Part 2, one is similar to this one with no Falcon logos (although it has the other edge connector cut out on mine). I've seen others where the side connector wasn't trimmed like that though. My other board is a regular Falcon board w/ serial number. I also have 2 similar boards (one a real Falcon) but running the non Part 2 version (like the Orca board). 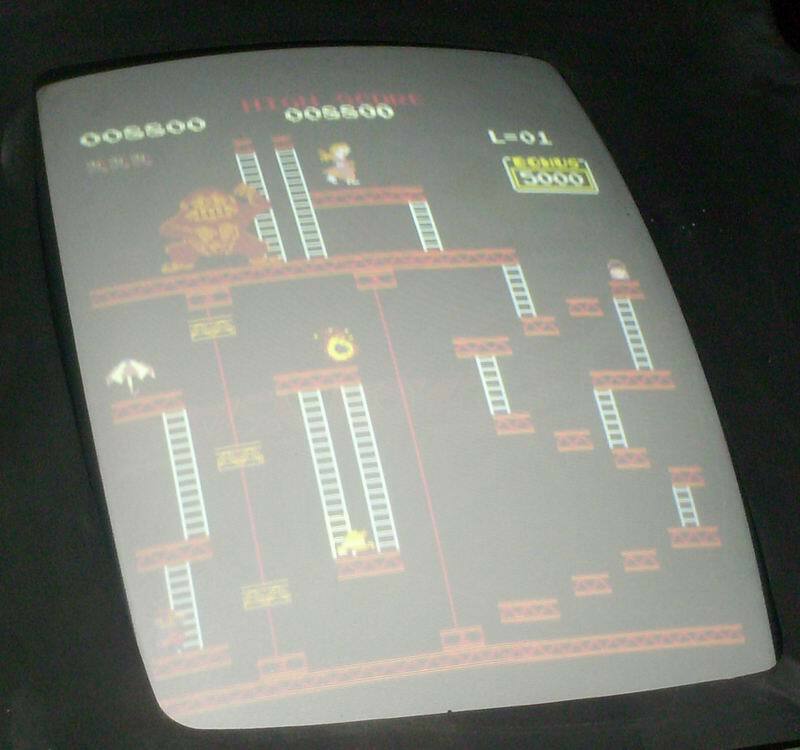 One even has a different ROM that has a ladder missing on the 2nd row of the barrel board! Anyway, sorry to make several posts, but it was easier to respond to specific ones that way Loved reading thru all your restoration process, and I might be making a post or two in the phase 2 thread too. 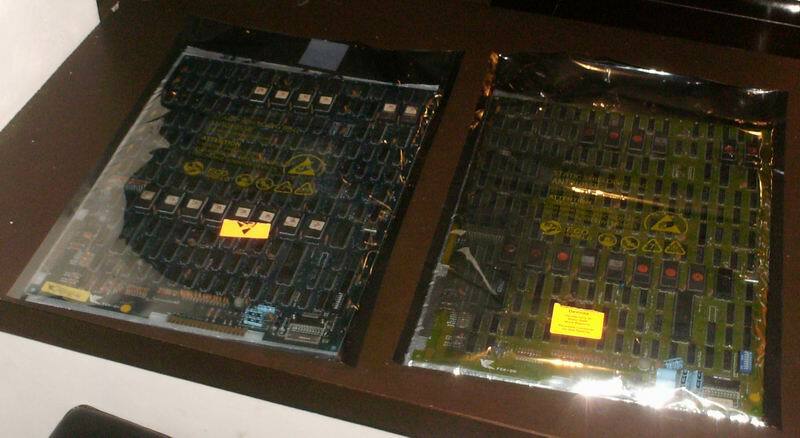 Thanks for the info, seems like there is at least 4 kinds of bootleg's bootleg pcb exists. I'd like to see pics of that board of yours, when you get a chance. 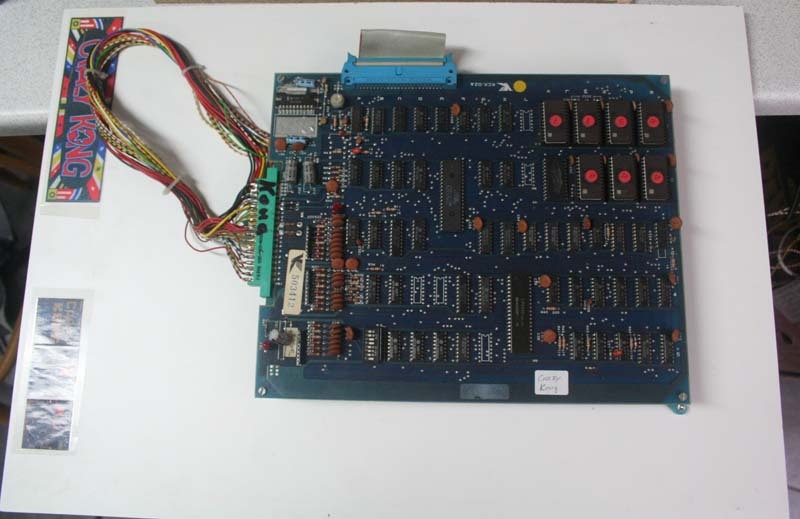 Is it one of the conversion ones (Scramble or Galaxian hardware)? 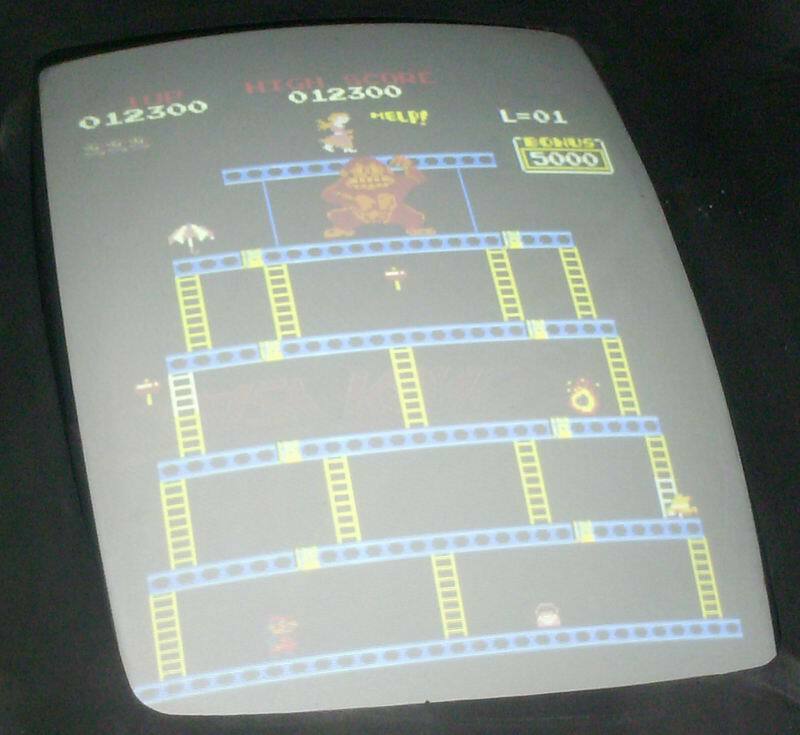 I've got one of the "Pac-Man on Galaxian hardware" PCBs (ROMset pacmanbl in MAME) that has the strange colors and sounds. Thanks for all the input ! Another CK Lover aboard, Great !